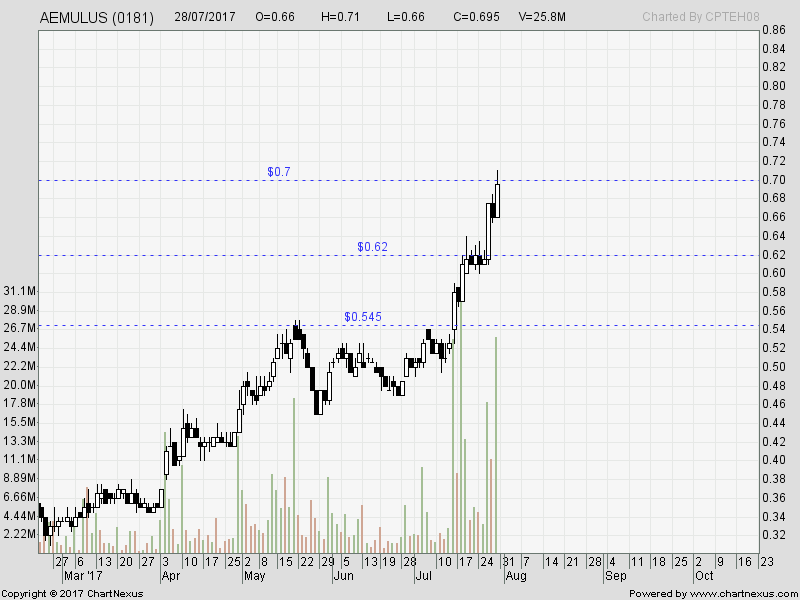 Aemulus : Managed to sell her at 70cents for short-term trade ... good one, actually. It went to hit 71cents. So ... will only re-consider during pull-back or consolidation level. 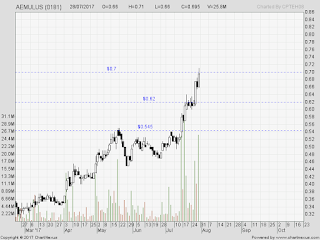 Krono : I have sold her way too early ... and today, it is shooting higher due to good profit report.